When the weather gets warm, what's better than a cold treat? 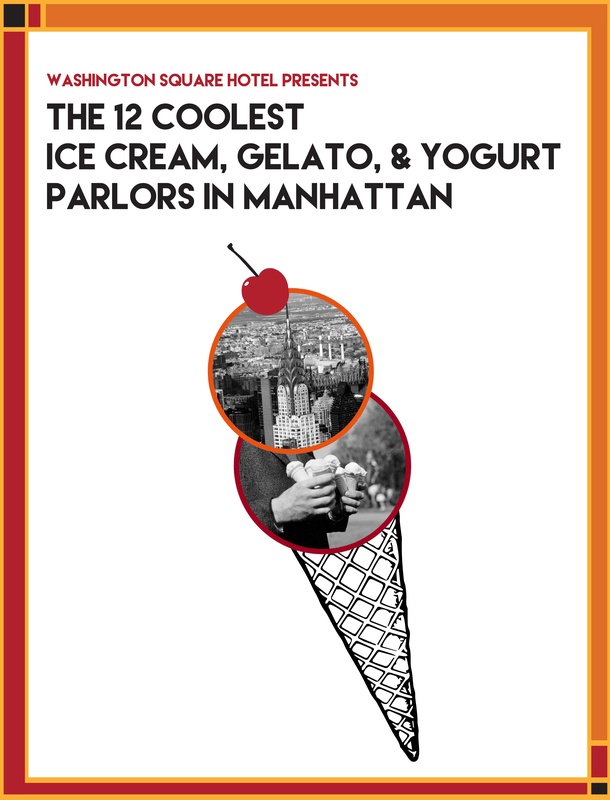 The names of 12 of the coolest ice cream, gelato, and yogurt parlors in Manhattan. The address to each location. A photo of at least one of each location’s offerings. Information on some of the best-selling and one-of-a-kind flavors or toppings, and ingredients that make each location’s creamy or fruity treat so special. We'd say that ice cream, gelato, and frozen yogurt all hit the spot! That's why we've compiled a list of twelve of our favorite (and the City's most sought after) sweet treat stops in NYC in this free ebook. From M'O Il Gelato to Oddfellows Ice Cream Co. or Chloe’s Fruit, there's a cold, sweet treat made just for you somewhere on this list.